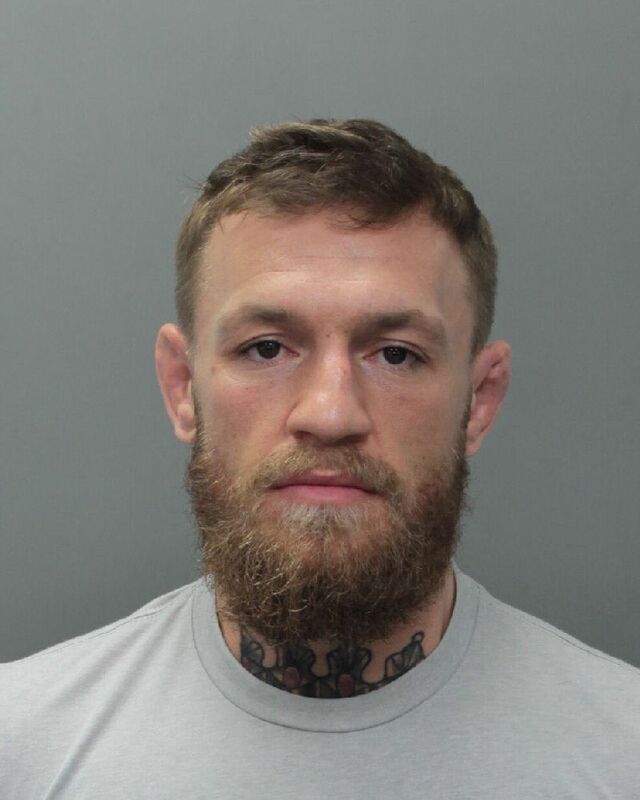 Conor McGregor has been arrested in Miami Beach. Local 10 reports that McGregor got involved in an incident with a fan who was trying to take a picture. The “Notorious” one is accused of slapping a phone out of the fan’s hand and stomping on the phone before picking it up and smashing it. McGregor is being held on $12,500 bond at Miami-Dade County’s Turner Guilford Knight Correctional Center. He’s facing charges of robbery and criminal mischief. This isn’t the first time McGregor has been in trouble with the law. The former two-division Ultimate Fighting Championship (UFC) title holder was arrested in New York City following a bus incident that injured two fighters on the UFC 223 card last April. McGregor threw a dolly, which shattered a glass window holding the event’s red corner fighters. Michael Chiesa was cut as a result and is suing McGregor. The “Notorious” one is currently serving a suspension from the Nevada State Athletic Commission (NSAC) for his role in the post-UFC 229 main event brawl. The six-month sanction is retroactive to Oct. 6, so he can return to action next month. UFC president Dana White has said that McGregor will not be fighting in April, however. 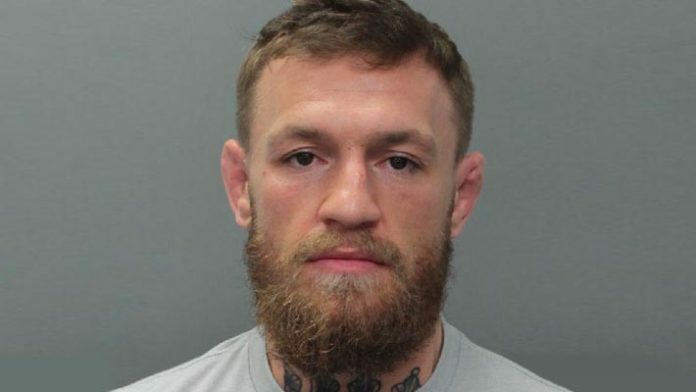 Stick with MMA News as we’ll continue to update you on McGregor’s arrest and the aftermath.